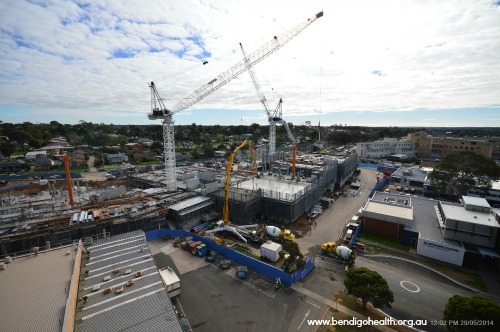 The new Bendigo Hospital will be one of the largest construction projects Bendigo has ever seen. As the project takes shape and the focus moves from excavation to construction, we have been enlisted to supply structural steel components. Our partners at Quality Steel Construction in Mulgrave have been able to supply varying volumes of steel to the site using J&A freight transport. We have run small and large volume sections into the site using our various flat-topped vehicles so that steel sections can be removed by forklift or hoisted by crane. This project is expected to span several years and will be a major boost to the Bendigo economy for some time with the employment of excavation, construction, freight transport professionals and more.